Enjoy a romantic wedding celebration at our adults-only boutique resort in Puerto Vallarta, Mexico. Edging the fairways of Marina Vallarta Golf Club and steps from the ocean, our all-inclusive boutique hotel has the vibe of a Mediterranean estate. 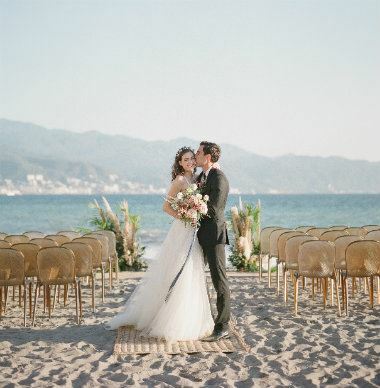 Get married in an intimate retreat on Mexico's Pacific Riviera, one of the most romantic destinations in the world. 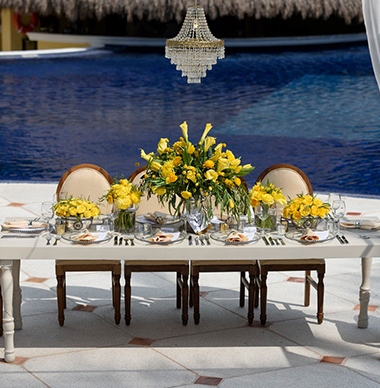 Enjoy a beach ceremony at our Ocean Club or a reception in a botanical garden with fragrant flowers and palm trees. Barefoot of the sand or black tie. This is your moment. Tie the knot in our tropical garden and celebrate in our elegant Quetzal Ballroom. Prefer the beach? Our Ocean Club features a private beach, terrace, and balcony with sweeping ocean views. The beach. Blue skies. Amazing cuisine and music. How about personalized drone filming over your Pacific Riviera wedding?